The global MDM market size is expected to grow from USD 2.81 billion in 2018 to USD 7.86 billion by 2023, at a Compound Annual Growth Rate (CAGR) of 22.8% during the forecast period. The increasing penetration of smartphones across businesses, security concerns, and managing different Operating Systems (OS) using a single console are expected to be some of the factors in driving the MDM market. However, the decline in the adoption of Bring Your Own Device (BYOD) devices is expected to act as the restraining factor for the growth of the MDM market. The cloud deployment type is expected to hold a larger market share in the MDM market during the forecast period. The global adoption trend of on-premises MDM solutions is expected to be slower across enterprises, while the adoption rate of cloud-based MDM solutions is on the rise, due to its features, such as reliability, flexibility, speed in accessing information, pay-per-usage model, and lower installation and maintenance costs. Among the industry verticals, the BFSI industry vertical is expected to hold the largest market share during the forecast period. The growth in the MDM market, especially in the BFSI industry vertical, can be attributed to the increasing financial services, IT automation, and reforms in economy and banking services worldwide. MDM solutions help BFSI organizations in improving their workforce productivity, streamlining their business operations, enhancing their customer experiences, and ensuring their compliances and regulatory policies. In terms of the growth rate, APAC is expected to grow at the highest growth rate during the forecast period. The APAC region is expected to register continuous growth, due to the advancements in various industry verticals, such as government, education, healthcare, transportation and logistics, and retail, in that region. In-depth interviews were conducted with Chief Executive Officers (CEOs), marketing directors, innovation and technology directors, and executives from various key organizations operating in the MDM market. The MDM market has been segmented based on types (solutions and services), deployment types, organization size, industry verticals, and regions. A detailed analysis of the key industry players has been done to provide insights into their business overview; services; key strategies; new service launches; partnerships, agreements, and collaborations; expansions; and competitive landscape associated with the global MDM market. The report segments the MDM market comprehensively and provides closest approximations to the revenue numbers for the overall market and subsegments across different regions. 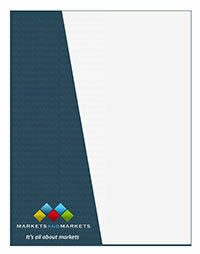 The report would help the stakeholders understand the pulse of the market and provides information on the key market drivers, restraints, challenges, and opportunities. The report would also help the stakeholders understand their competitors better and gain more insights to enhance their positions in the market. The competitive landscape section includes competitor ecosystem, new service developments, partnerships, and acquisitions.